Dane Kaleta Memorial BBQ is taking place Friday June 16th, 2017 from 11am - 2pm in the DCP parking lot. 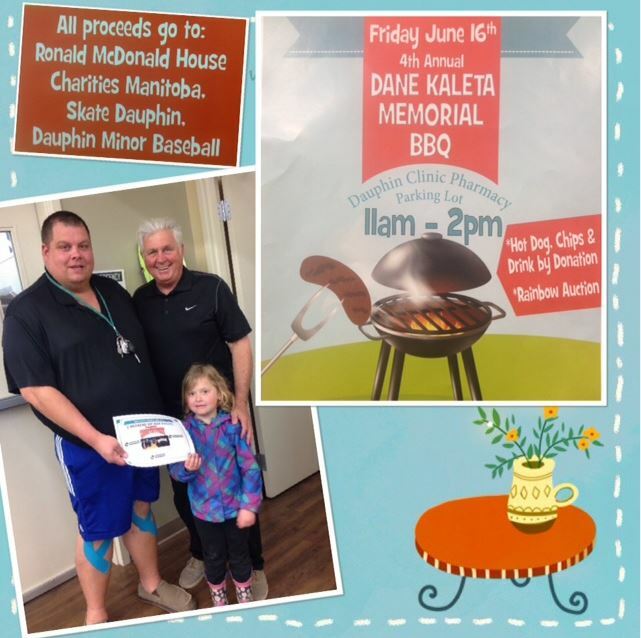 Funds raised from the hot dog sale and rainbow auction go towards the Ronald McDonald House Charities Manitoba, Skate Dauphin and Dauphin Minor Baseball. DCP has donated 2 weekend VIP Countrfest passes to the rainbow auction for this worthwile cause. Countless families from rural areas like the Parkland depend on the Ronald McDonald House for a variety of medical reasons.